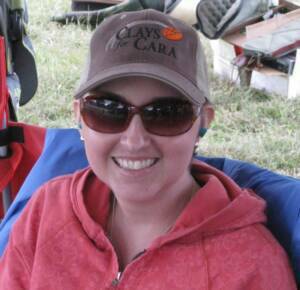 Clays for Cara was organized in 2010 to help support Cara Hobbs and her family during her battle with brain cancer. Cara had a small brain tumor removed in 2003. 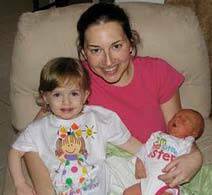 In March of 2010, shortly after the birth of their second daughter, Cara and her husband, Justin, received the news that her tumor had returned and had spread. Cara immediately underwent aggressive surgery at The University of Texas MD Anderson Cancer Center in Houston to remove as much of the tumor as possible. She then endured rigorous chemotherapy and radiation treatment. She fought hard and she fought well, and received wonderful medical care, but despite countless prayers for a different outcome, Cara passed away on March 14, 2011. While this is a profound loss to all who knew her and loved her, we find comfort and joy in the knowledge that God called her Home to be with Him, and she has received a healing far greater than anything we could ever imagine. We were blessed by Cara’s presence at the 2010 Clays for Cara event and will continue holding Clays for Cara annually in her honor. With the Clays for Cara 2011, we achieved our goal of raising enough money to establish the Cara Ann Hobbs Endowment at the Brain and Spine Center of The University of Texas MD Anderson Cancer Center in Houston. The endowment supports brain cancer research. Cara’s kind, gentle, loving spirit will be our driving force and motivation as we continue this event to help financially support the battle against cancer. Please join us in this endeavor.